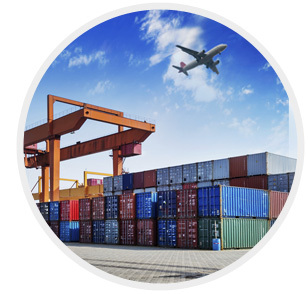 We are competence in airfreight, oceanfreight and logistics services. Consolidation, breakbulk, customs brokerage and door-to-door delivery for both air & sea shipments are daily routines of our business. We take pride in providing prompt delivery of time sensitive consignment, like AOG and Urgent Ship Spares. Our truck and competence staff are 24 hours a day and 7 days a week on standby, for urgent deployment to handle urgent shipments. Singapore being one of the busiest ports in the world is strategically located at the heart of South East Asia. Huge numbers of vessels sailing between Indian Ocean and Pacific Ocean find our port a convenient hub to handle transshipments. Furthermore, the strategic location of our office within the “Free-Trade-Zone” has strengthened our abilities to handle multi-modal transshipments, be it air, sea or land. EDI links to Customs & Relevant Government Authorities.